Responding to a group’s or community’s goals and needs means working together. How well we collaborate can make or break our success. Effective collaboration pulls us out of silos, reduces turnover and increases communication and productivity. The benefits are huge. But why do some collaborations succeed and others fail? And how can we help ensure more successes for Sisters Country? As part of our ongoing leadership- and community-building series, C4C invites you to join us for “Getting the Most from Collaboration”—a day-long workshop set for Friday, April 19, 2019. 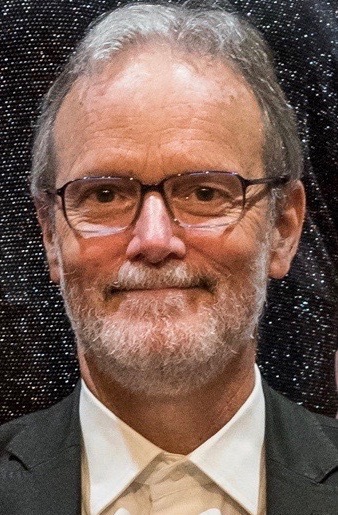 Steve Greenwood has led numerous collaborative processes on issues such as Oregon's urban-rural divide, water allocations in Eastern Oregon, and Columbia River sediment management. He is a sought-after expert and speaker with more than 35 years of experience and will present the next C4C leadership- and community-building workshop, “Getting the Most From Collaboration,” set for April 19, 2019 in Sisters. Steve has designed a comprehensive course to help us in Sisters Country strengthen our community as we maximize the benefits of working with others. He will share concepts and skills applicable to a range of situations—including civic projects, policy-making, and business and workplace (and even family) situations. And the workshop’s timing is ideal for anyone involved in the Sisters Country Visioning effort—Sisters Country Horizons. You’ll learn essential collaborative principles that help ensure success. And you’ll gain tools to make working with others more rewarding. You’ll find out about convening stakeholders and types of collaborations, plus strategies for effective communication, deliberation, consensus- and trust-building, and much more. Also, you will receive a template for applying collaborative concepts and skills to local projects or activities, like the recently adopted Sisters Country Vision Plan. The workshop will run 8:30 a.m. to 4:30 p.m. April 19 in the community room at Sisters Fire Hall, 301 S. Elm Street. A complimentary lunch will be provided. Because of grant funding, generous sponsors and Steve’s own generosity, this full day of instruction is being made available to the Sisters Country community at a reduced rate of $30 per person. The $30 registration fee is payable by cash or check (made out to Citizens4Community) and should be sent to: Citizens4Community, P.O. Box 2193, Sisters, OR, 97759. Seats are limited and will be offered on a first-come basis. Please RSVP (fill out the RSVP/Registration form below) and send your registration payment no later than Monday, April 15. We’re grateful to St. Charles Health System and Deschutes County for helping to support this local learning opportunity. We also would like to thank Ray’s Food Place and Sisters Coffee Company for sponsoring food and beverages. If you will attend as a member of a business or organization, please specify. Your home address or the Name and Address of the business or organization you'll be representing. Please Mail the $30 Course Registration Fee by April 15 to: CITIZENS4COMMUNITY, PO BOX 2193, SISTERS OR, 97759. Checks can be made payable to Citizens4Community. You can include additional questions or notes here, for example please let us know if you prefer a vegetarian meal. Steve Greenwood is the faculty leader for Portland State University’s Graduate Certificate program in Collaborative Governance. He is the former Director for Oregon Solutions, and has taught collaborative skills at conferences and seminars nationally and internationally. Like C4C, he is participating in a statewide Ford Family Foundation initiative aimed at building stronger, more connected and resilient communities. Greenwood is a graduate of the School of Community Service and Public Affairs at the University of Oregon, and received his Masters in Public Administration from the Kennedy School of Government at Harvard. In 1991, he received a Fullbright fellowship to help the government of Portugal with its solid waste policy. In 2007, he earned the Outstanding Alumnus Award from the University of Oregon's Planning, Public Policy and Management Program.